I had been sitting on this project for a while. I recorded the fire clip back in May, or something. I really hadn't thought of the best use for this project until it dawned on me how close to Christmas we are. So I have purposed this app for Christmas. It is now a "Holiday Fire". After the holiday season, I suppose it will just be a campfire. 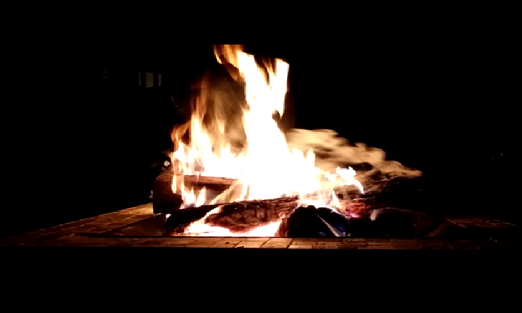 For now, what we have here is a nice campfire playing in a loop. There are 13 different Christmas music selections. Music will play in a loop until you manually switch tracks. Before you go rating this thing with one star... I am not done with this app. Please leave it installed for a couple of revisions. NOTE: 12/6/2016 - I added in the volume controls, and a way to skip songs. I skipped this initiatlly because I rushed this into production. Christmas is coming quickly. I would rather have an incomplete version of this thing out there than nothing at all.